Get ready to pull out the hankies because during tonight ‘s X Factor first commercial break , John Lewis will be airing their always much awaited Christmas advert. 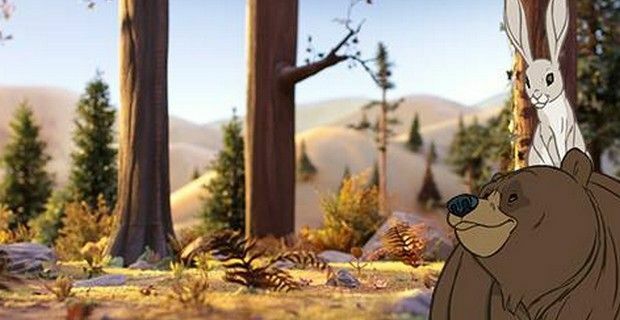 The department store will be releasing their Christmas commercial “The Bear & The Hare”, and for the first time uses cartoon animation for its seasonal campaign. The £7 million campaign - the two-minute commercial itself cost £1 million - is the story of a bear that goes into hibernation and will as usual sleep through Christmas, while his friend the hare is sad to see his bear friend miss the festivities and leaves him a present – an alarm clock - outside the bear’s cave. The bear obviously is awaken from his deep slumber then joins the rest of the forest animals to celebrate Christmas morning around a decorated tree, while Lily Allen (whose third studio album is expected to be released in the new year) sings in the background Keane’s 2004 single “Somewhere Only We Know”. Last year's John Lewis ad saw two snowmen fall in love in “The Journey” with Frankie Goes To Hollywood cover The Power of Love” was sung by Gabrielle Alpin. In 2011 Amelia Warner did her rendition of The Smiths' 'Please, Please Let Me Get What I Want' for the company's 2011 'The Long Wait', and in 2010 it was Ellie Goulding covering Elton John's 'Your Song'. All three songs climbed featured in the ads climbed up the UK singles charts proving that commercials still attract consumers. John Lewis also has fourteen products related to the “The Bear & The Hare” commercial that includes, the book, plush toys, Christmas cards, wrapping paper , mugs and chocolate. After seeing M&S Christmas advert featuring Helena Bonham Carter, David Gandy and Rosie Huntington-Whiteley in a Alice in Wonderland/Aladdin/Riding Hood fairy tale tribute and John Lewis’ 2013 animated Xmas commercial, which do you like best?